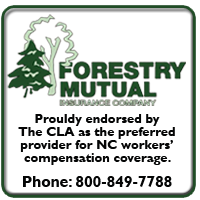 Carolina Loggers Association offers many benefits for becoming a member of our association. CLA has a level of membership available for everyone involved in the forest products industry. The CLA is a nonprofit corporation organized to promote professionalism and business opportunities for members. We are a 501(c)(6) non-profit business league. We focus on regional, state and national business issues. We employ a full-time Executive Director that is a registered lobbyist. We are affiliated with the American Logging Council that represents 20 states and over 10,000 logging businesses. Members are kept informed of current affairs through e-mail and website postings. Our extensive website highlights a variety of topics including trucking regulations, fuel purchasing, safety, training programs, weather reports, wood delivery markets and more. Wood market needs can be posted by partner members and mill purchase hours over the holidays and curtailments can be e-blasted to all members. Members get assistance with highway regulations including enforcement citations that may be in question. Members have access to information involving how to prepare for OSHA inspections and how to resolve safety citations. Members have access to cost models for harvesting, trucking and how to index fuel costs. Partner members involved in equipment, fuel, financing and insurance support your Association. We work closely with North Carolina State University on new logging technologies and developing new wood and biomass markets. CLA has partnered with Michelin to offer our members only an exclusive discount program on Michelin and BF Goodrich tires. This program is available at any Michelin dealer across the United States, and is available to all of our logging, trucking, and partner members. If you are already a member, sign up now for the Exclusive Michelin Program! Members see pending federal trucking regulations that are reviewed influenced at the national level through the American loggers Council and buy direct input from your Association. Newsletters are published and mailed directly to members and are also available on the website. There is a reciprocal agreement with both Virginia and South Carolina for reduced logging memberships as North Carolina members across state lines and vice versa. Current equipment auctions and sales are made known to members. News articles and public announcements regarding biomass and other wood using facilities being built in North Carolina are posted to the website and e-mailed. 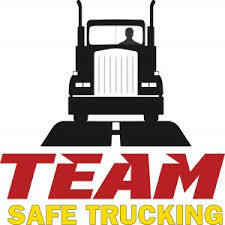 We develop safety training materials and provide programs. We support business training programs such as the hardwood value improvement project that shows how to obtain the highest possible log grade on the landing during logging operations. We host a formal annual meeting once a year for all members statewide and several regional member meetings each year. Members have access to other member contact information as they move outside the normal operating area and they need assistance with trucking, fuel and repairs. For More information on membership and taking advantage of some of these great benefits CLA has to offer contact Communications Director, Jonzi Guill today at [email protected] or by phone at (252)809-3057.